This is a Deadspin Video, in which strange sports moments are slowed down to ridiculous speeds and matched with indie music. 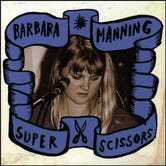 This video features "Every Pretty Girl" by Barbara Manning. See previous episodes here.